Act No. 528, Public Acts of 2002, p. 4. 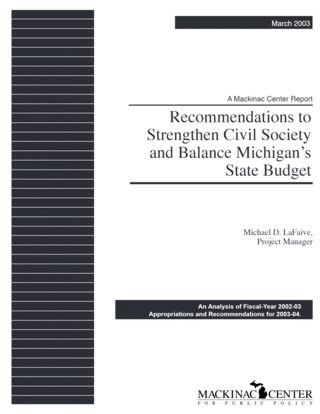 This figure is an estimate based on database research provided by Jessica Runnels of the Michigan Senate Fiscal Agency to the Mackinac Center for Public Policy, Nov. 1, 2002. Michigan Department of Civil Service web site, “Training Calendar,” accessible on the Internet at http://www.state.mi.us/mdcs/asp/hrtdtrain/printcoursecatalog.asp.